Sofia Ivanova-Skoblikova (Софья Иванова-Скобликова) in Raymonda variation. Music by Alexander Glazunov, libretto by Lidia Pashkova and Marius Petipa, choreography by Marius Petipa (1898), revised version by Konstantin Sergeyev (1948) with choreographic fragments by Fyodor Lopukhov. Set and costume design by Simon Virsaladze. Conductor Gavriel Heine. Shot on 18.1.2017 in Mariinsky Theatre, St Petersburg, Russia. Sofia Ivanova-Skoblikova (Rus. 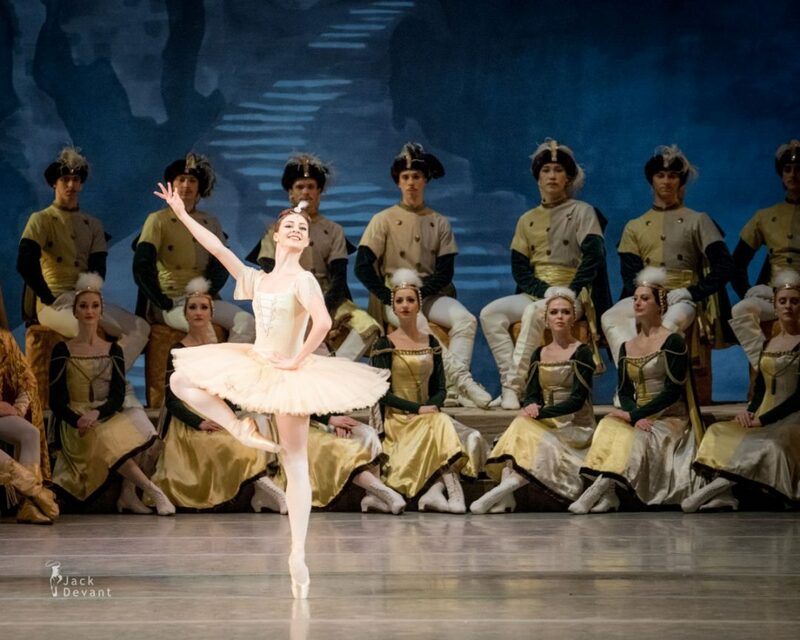 Софья Иванова-Скобликова) is currently the Second Soloist with Mariinsky Ballet. She was born in St Petersburg, graduated from the Vaganova Academy of Russian Ballet in 2013 (class of Veronika Ivanova). Joined the Mariinsky Ballet in 2013. Photo by Jack Devant ballet photography © with kind permission of the Mariinsky Theatre, special thanks to Ekaterina Ordovskaya.